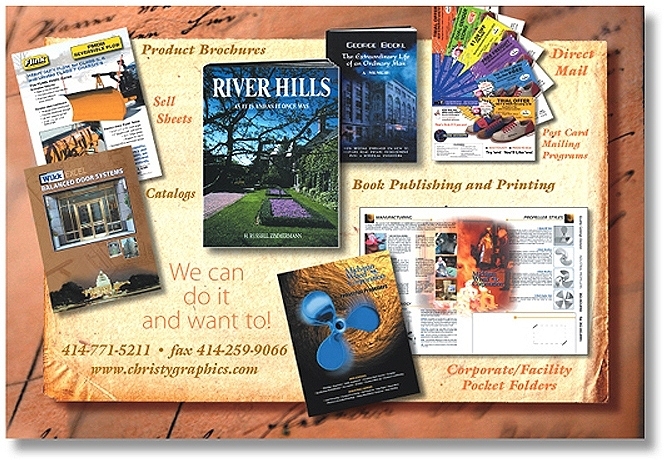 We are a full service graphic arts and print management group dedicated to being a partner with our customers every step of the way. As you look through this website you will discover that our capabilities are extensive and we fit the niche between the printer and a large advertising/marketing agency. © Copyright 2018 by Christy Company. All Rights Reserved.